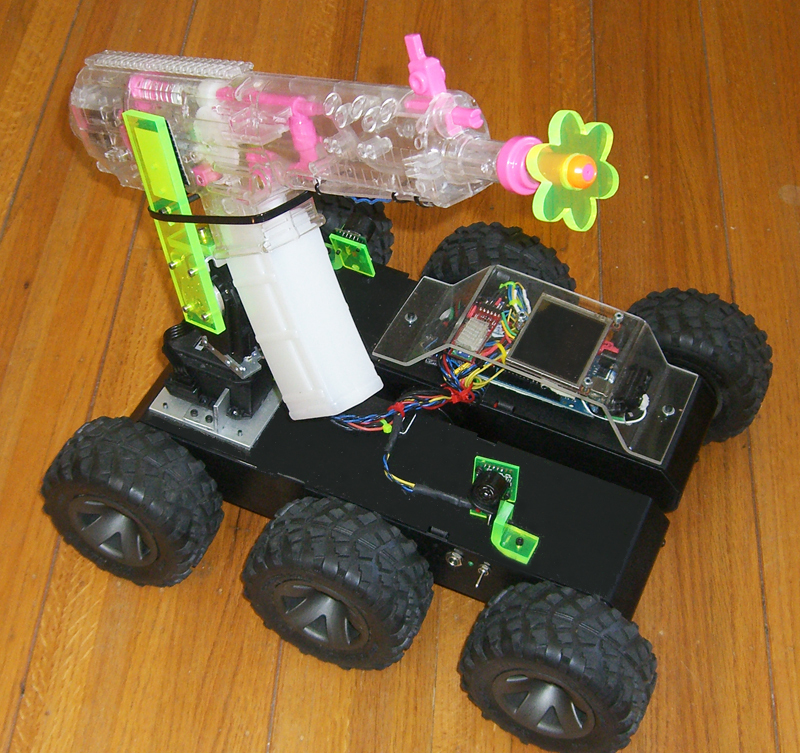 Squirt is an autonomous robot which can communicate with an Android phone. Optionally, the phone can be used as a controller to drive the robot. Squirt’s purpose is to water plants and chase away raccoons. It’s also a technology demonstration to prove the feasibility of using a smart phone to control small irrigation and well systems.